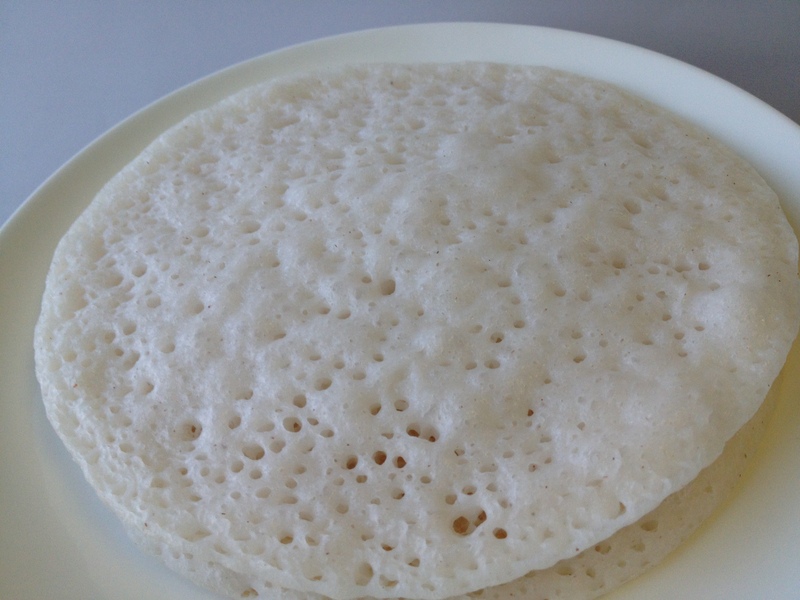 Earlier, appam was a tedious process for me….making a paste of grinded rice over fire, waiting for it to cool and then grind along with the rest of the rice…now it’s so simple with cooked rice. You can make appam either on a flat pan or an ‘appa chatti’. Soak rice in water for 4-5 hrs. In a glass, add ¼ cup warm water, sugar and yeast. Let the yeast rise. Mix the rice and cooked rice. If you are adding cooked rice from the fridge, add some hot water so everything comes to room temperature. Grind adding enough water to make a pouring consistency batter. Add yeast and salt to the batter and pulse a few times and pour into a large vessel. Let it sit for 6-8 hrs to ferment. Just before making the appam, grind coconut using some of the batter. Add to the batter and mix well. 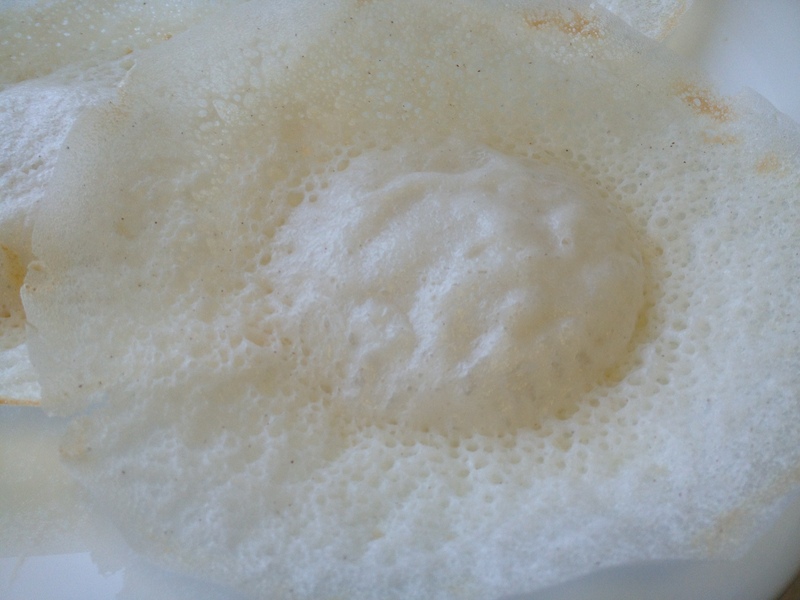 Pour a ladle full to a hot pan and cook covered for about one 1 minute or till bubbles appear all over the appam. Flip to the other side (though not necessary) and cook for few seconds more. Don’t flip the appam if you are using ‘appa chatti’. (No need to oil the pan if you are using non- stick pan). Serve with curry of your choice. Few options are chicken stew, beef stew, egg roast and the best is Kadala curry (black chickpea curry). Yes…you need only a handful of coconut per cup of rice. I will update more detailed pictures if someone requests.